Human rights NGO aditus has expressed its frustration at a political decision that “unashamedly ridicules the desperate plight of refugees losing their lives at sea”. The NGO was reacting to news that the government had agreed to a Chamber of Commerce proposal enabling Libyan businessmen to come to Malta thanks to a 90-day Visa. The visa would be just for Malta and will not cover Schengen countries. ‘Malta’s migration politics has reached a new level of irony that unashamedly ridicules the desperate plight of refugees losing their lives at sea,” aditus said. 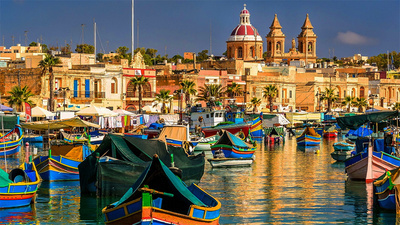 “The recent news that Libyan business representatives will be granted temporary visas to come to Malta to conduct business flies in the face of EU-wide calls for safe and legal access to protection for refugees.” Aditus said that, together with Malta’s Individual Investor Programme, it was yet another message that Malta was choosing to send to the world: “If you are a rich migrant, the red carpet will be rolled out, whilst if you’re a refugee it’s either Italy or detention.” Aditus said that in principle it didn’t have any objections to this scheme because of its clear economic advantages for the Maltese and Libyan economies, thereby potentially improving the lives of persons and communities. It could also represent a legal and safe way for some refugees to access Malta’s asylum procedure. “Yet whilst the Government discusses and implements this scheme, we continue to receive urgent requests for assistance from Libyans, Syrians and other persons outside of their countries due to wars and persecution, yet they are unable to move on and unable to return home,” it said. Adiuts argued that the refusal of Malta’s and other EU Member State embassies and representations to grant humanitarian visas to these refugees remains one of the key factors pushing them onto boats to attempt to cross the Mediterranean. “When we’re asked, ‘which embassy will give my family a visa to come to safety?’ we know there is very little we can say or do. It’s terrible, because we know what usually happens next: a floundering boat packed with men, women and children becomes a very expensive visa, with little guarantee of safe arrival,” aditus director Neil Falzon said. The foundation went on to urge the Maltese authorities to consider translating the logic behind this new temporary visa scheme into humanitarian action with a view to granting refugees safe and legal access to Malta. Malta’s high rate of Caesarean sections has been criticised by both the World Health Organisation and, among others, local midwives, the latter partly attributing the blame to doctors. The WHO recently repeated its long-standing recommendation that a country’s rate of Caesarean sections – which in Malta stands among the highest in the EU – should hover between 10-15% of its total births. In a statement from its Geneva headquarters, the WHO warned that C-sections can cause significant complications, disability or death, particularly in settings that lack the facilities to conduct safe surgeries or treat potential complications. For years Malta’s C-section rate has been among the highest in the EU – in 2013, 31.2% of births in Malta were carried out through C-sections, higher than in most EU countries. In the EU only Italy, Cyprus, Portugal, Romania, and Slovenia had a higher rate. Midwives are all too aware of the situation and some have ascribed a shocking factor to it. “Sometimes, doctors advise pregnant women to induce their pregnancies and undergo a C-section on the pretext that, for example, their babies will be born with large heads,” an experienced midwife who chose to remain anonymous said. Labour MEP Alfred Sant has issued an explanation of his votes in the European Parliament in which he said that Malta is a neutral country and is specifically barred by its Constitution from participating in the programmes of a military alliance. Dr.Sant expressed his views during a debate in the European Parliament on the Common Security and Defence Policy of the European Union. He said that he was not voting in favour of clauses in the resolutions presented to the European Parliament which refer to common operations of the EU with NATO. Dr Sant abstained on the final vote on the report ‘Financing the Common Security and Defence Policy’. He noted that where in this text, security cooperation and joint action by the EU as a whole in collaboration or in tandem with NATO was contemplated and endorsed, he was not in agreement, so long as it was clear that such references did not include or cover neutral states that are members of the EU. Dr Sant voted in favour of two other reports on the ‘Common Security and Defence Policy’ and ‘Security and defence capabilities in Europe’ but expressed the same reservations on the neutrality of Malta.